Rush Limbaugh on the “greed” of Occupy protesters and college professors. This entry was posted in Current Events, Primary Concern, Quote of the Day on November 9, 2011 by Michael Happy. 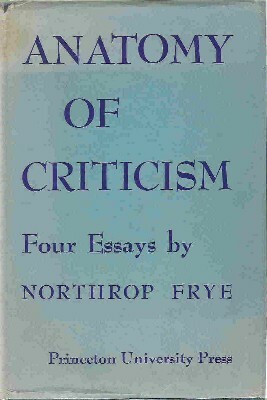 “That was my basic quarrel with my former mentor Northrop Frye. He thinks that evaluation has nothing to do with literary criticism. I would tell him, no, it is not true.” — Harold Bloom in an interview published over the weekend perpetuates his agon with Frye upon which he seems to have staked his reputation and legacy. Previous posts on Bloom here, here, here, here, here, here, here, here, here, here, here, here, here, here, and here. That’s a lot of posts, it turns out. We’ll set up a Harold Bloom category to make it easier. This entry was posted in Anatomy of Criticism, Quote of the Day on November 9, 2011 by Michael Happy. “These guys on Wall Street are not winning – they’re cheating.” — Matt Taibbi in a scalding post reacts to the proliferating meme that the OWS protesters are “sore losers,” and provides a dizzying account of the double standard at work in the banking industry: “too big to fail” effectively means that banks have no market value and are completely dependent upon handouts and bailouts, while also stripping “sore losers” to the bone. This entry was posted in Current Events, Quote of the Day on October 25, 2011 by Michael Happy. The revolts in the West require nothing of the courage displayed by Egyptians or Syrians or Tunisians standing up to tanks and bullets and torture. But they have a similar dynamic. They have occupied public spaces in the center of cities, as if to reclaim ownership of a society they feel has been privatized into nonexistence. This is not Protest Wall Street; it is Occupy It. It does not march through; it stops and sits and waits—as if the genie of Tahrir Square could not be kept bottled up in Egypt for very long. The very act is empowering, a form of theater as well as politics. But the theater works only when it reflects underlying truths—truths that cut through cultural divides. Because this is not the 1960s. These are not the children of the affluent acting out for sexual and personal liberation. They are the children of the golden years of hyped-up, unregulated, lightly taxed capitalism—now facing the same unemployment and austerity as the rest of the world. And that’s why polls have shown unusual support for the basic complaints of the hippies. The Occupy movement has, according to recent polling, significantly more general support than the Tea Party, and its specific demands are highly popular. Huge majorities agree that corporate special interests have too much clout in Washington, that inequality has gotten out of control, that taxes can and should be raised on the successful, that the gamblers of Wall Street deserve some direct comeuppance for the wreckage they have bestowed on the rest of us. Polling data do not show a salient cultural split between blue-collar whites and the countercultural drum circles in dozens of cities around America. And the facts are behind the majority position. Social and economic inequality is higher than it has been since the 1920s, and is showing no signs of declining. This entry was posted in Current Events, Quote of the Day on October 24, 2011 by Michael Happy. [A]fter a decade of unparalleled thievery and corruption, with tens of millions entering the ranks of the hungry thanks to artificially inflated commodity prices, and millions more displaced from their homes by corruption in the mortgage markets, the headline from the first week of protests against the financial-services sector was an old cop macing a quartet of college girls. No matter what, I’ll be supporting Occupy Wall Street. And I think the movement’s basic strategy – to build numbers and stay in the fight, rather than tying itself to any particular set of principles – makes a lot of sense early on. But the time is rapidly approaching when the movement is going to have to offer concrete solutions to the problems posed by Wall Street. This entry was posted in Current Events, Quote of the Day on October 13, 2011 by Michael Happy.